CenterLink staff just provided an awesome workshop on LGBT engagement for coalition work during CADCA’s Mid-Year Training Institute in Indianapolis. The audience members included folks from county coalitions, community-based organizations, tribal nations, youth groups, college campuses, rural communities, and Boys and Girls Clubs. Half of the nation’s states were represented including West Virginia, Connecticut, Indiana, Florida, Illinois, New York, Michigan, Alabama, Wisconsin, Mississippi, Washington State, Nebraska, Navajo Nation, New Hampshire, Maine, Utah, Vermont, California, Maryland, Pennsylvania, Tennessee, Washington DC, Illinois, Delaware, Massachusetts, Texas and Washington, DC, showing tremendous interest and opportunities for growth. The training provided attendees with an overview of LGBT communities and the health disparities affecting us, strategies for ensuring welcoming and inclusive environments for LGBT people, and how to identify and utilize existing resources and collaborations to provide LGBT communities with an opportunity to share their experiences. The training included LGBT language 101, cancer and tobacco disparities, LGBT youth outreach, and group dynamics to identify LGBT venues and spaces (online and physical) where LGBT communities can be reached and engaged. 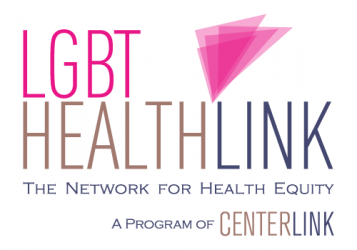 LGBT communities, like many other communities affected by health disparities, have a specific set of needs and realities that need to be understood by community coalitions in building effective partnerships. Our communities bring a set of skills, history, and strengths that empower alliances and coalitions to approach local work from a different perspective, and in areas or places probably not reached in the past. Expansion of the a coalition’s scope to incorporate LGBT community members from all walks of life provides a richer understanding of local communities and leads to effective partnerships that can result in population-based change.